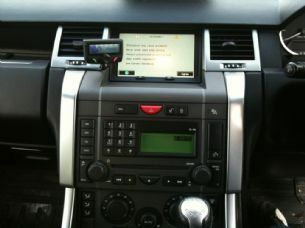 Models from 2005-2009 with Denso touch screen navigation. 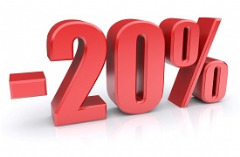 Quick delivery and great after sale support. Will use again. Many thanks. Mix up at first with wrong disc sent but after contacting Brian the correct disc arrived the next day. Works perfectly. Great customer service. Highly recommended. Working for my discovery 3 2006. I will recommend nice price for latest update! Just put the disc in and away it went no trouble, no problems. Many thanks a great product. Fast delivery. Easy to install and ready within minutes. Quality product. Great....finally the satnav in my LR3 actually works - took about 30 seconds to fit and useful that some of the other reviewers mentioned that after fitting the defaul location is Belgium, so I switched to Ireland and perfeect! Thanks! Excellent item. It came in the post - quickly. I popped it in the dvd machine and away we went. I wish all "small jobs" on the Rangie were as simple. Land Rover Disco 3 update. Disc arrived on time as promised. Installed within a few minutes and without any problems. Local maps appear to be up to date and with detail. Great service and great product. 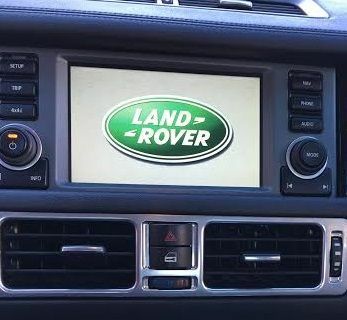 Thank you for the latest update for my Range Rover Sport 2008, working without any problems. I will share you on Facebook, thank you again. The disc arrived promptly, excellent service. I have a 2008 Disco 3 and with the ignition key at the 1 position, I removed the old disc and slipped in the new 2015 disc, no problem. Loaded within minutes, I am now one happy motorist, thanks! Great service. Had just bought a 10 year old Disco3 but the dvd was scratched and wouldn't work. Placed the order and got the disc next day. Worked brilliantly straightaway. Now I can go anywhere! I ordered an updated West Europe Navi DVD for a 2009 Range Rover Sport (Denso) and received it 4 days later in Germany. It worked well, but Germany was not included. I got a quick and friendly reply and a new free of charge DVD after explaining the problem. I have also purchased one more disk with other countries which also arrived quick and works well. I hope this shop will continue offering updates for my car as Land Rover stopped supporting it after 2012. Excellent service! Was dubious about whether this would work, even given the good reviews but it has and is perfect too. Recommended totally. Very quick delivery, great product, great comms and very good service. quick delivery and excellent after sales service, they went above and beyond what would be expected to help resolve an issue, very pleased !